As of the end of business yesterday, January 31st, the filing period to announce one’s candidacy for either the Mayor or City Council of Boulder City, has now closed. *Each pictured top to bottom, left to right in order above. 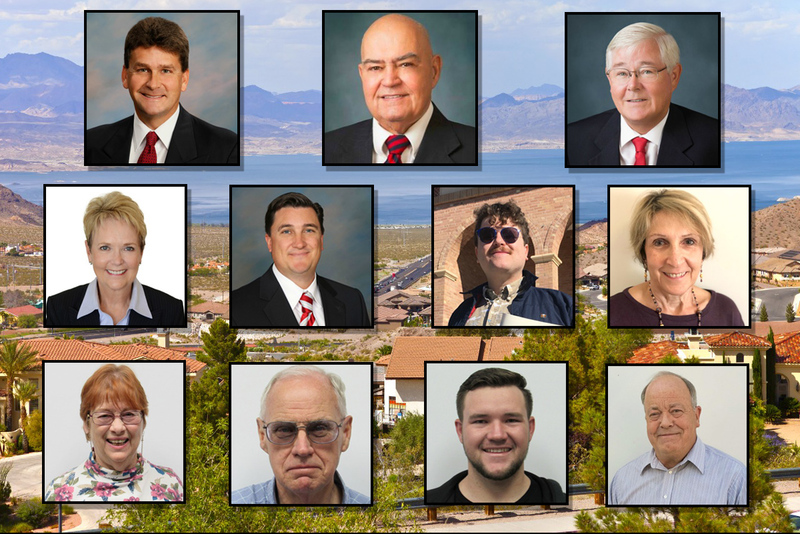 There are three people running for the Mayor’s seat (which is also a member of the City Council), and there are eight running for 2 City Council placements. Because of the number of candidates, there will now be a Primary Election held on April 2, 2019. Note – if you’re not registered to vote in Boulder City, the last day to register is March 5th. Early voting for the Primary Election will be March 20-23rd. HERE is a link for all sorts of other resources the City has assembled for you, if you have questions about any of the processes involved. We’ve heard it said that ‘apathy is the enemy of democracy’. Well, Boulder City is certainly not apathetic this year, and ultimately, that’s a great thing to see. Recently, we were talking to a friend and former candidate (from a previous year, who didn’t win), and he said he will never regret his run, because of all he learned in the process. We’re glad to see so many ‘hats in the ring’ this year, and wish everyone the best in the coming months! Boulder City, let’s get involved and get out and vote!